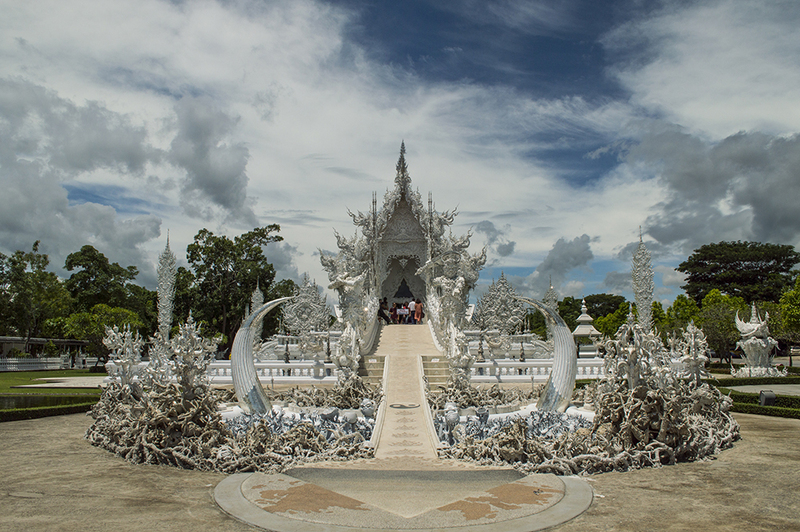 This is the White Temple of Thailand. This intricate and stunning building is not actually a functioning Buddhist Temple, but in fact considered to be an art piece. This image is a composite of over 20 photos. The reason I combined 20 images to create this photo is due to the amount of people visiting this site from all over the world. I was not able to get a clear photo with just one image. even so I could not get rid of everyone.